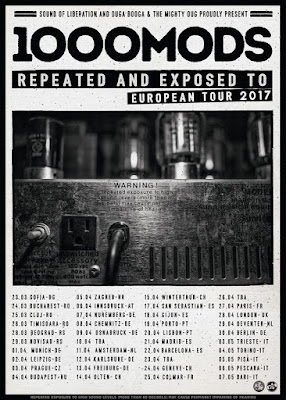 1000mods are getting back on the European roads for a headline tour this time, in order to promote their latest album "Repeated exposure to...". They are going to visit a lot of cities for the first time and some cities that they haven't visited since 2014. 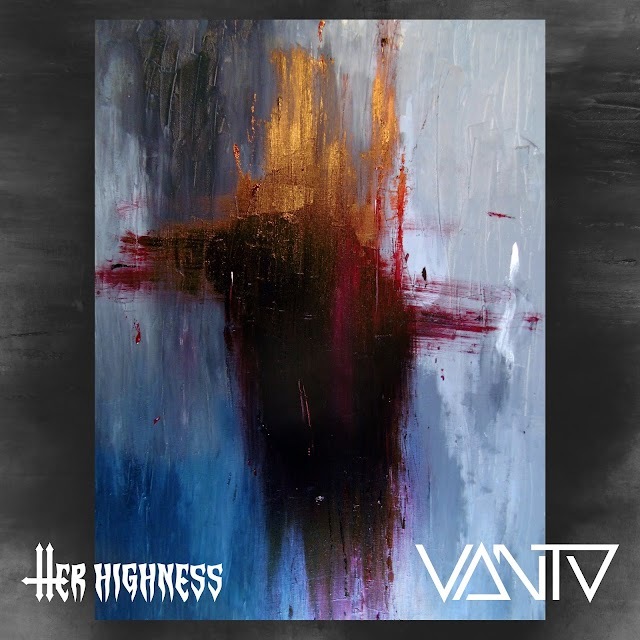 They are also going to participate in festivals like DesertFest London, DesertFest Berlin, Under The Black Moon 2017 in Munich and Riff Ritual Festival in Barcelona. Some more dates are to be announced soon! Powered by Sound of Liberation UG and 'Ouga Booga & the Mighty Oug'. 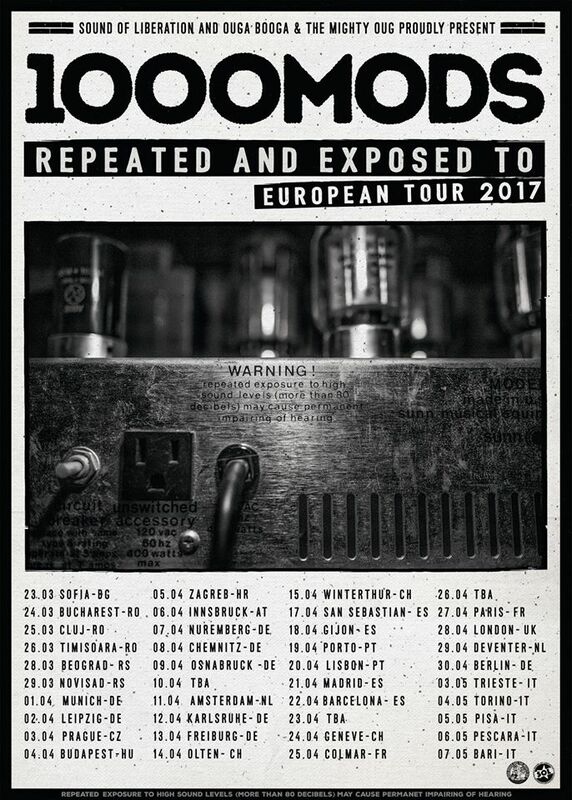 Below are the dates and cities in detail.